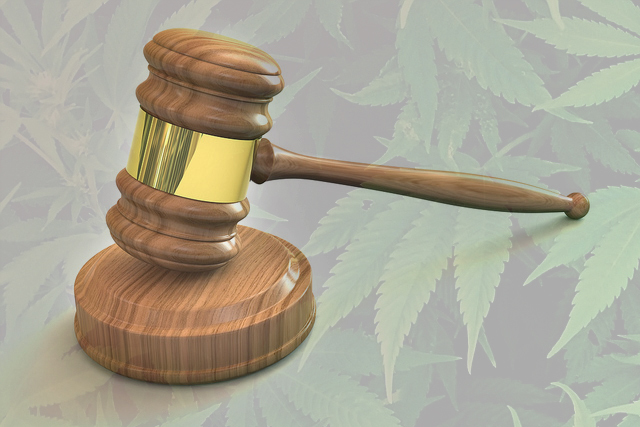 Unless you are one of the very few who qualify for Iowa’s recently passed, and highly restrictive, medical marijuana program, the law is clear in the Hawkeye State when it comes to possessing and growing cannabis. A first offense of possessing any amount of weed in Iowa can earn you a fat $1000 fine and up to six months in the clink. If they catch you growing pot in Iowa, you’ll be looking at a much steeper fine and anywhere from five, to twenty five, years in prison. So it was kind of a big deal when 48-year old Benton Mackenzie left the courtroom with just probation yesterday, after being found guilty of cultivating 71 cannabis plants after a police raid on their property back in June of last year. Under the circumstances, however, it’s easy to see why the Judge showed some leniency. “I have lasted seven years on a disease that takes people who don’t get treated in two years. And people who go through the traditional methods, they last three years. So basically I have proven the decision I made was the right one, to save my life,” Mackenzie told Judge Henry Latham and the rest of the courtroom yesterday in his own defense. Mackenzie is suffering, or dying rather, of a particularly nasty form of cancer called angiosarcoma which is ravaging his blood vessels and creating large, extremely painful lesions to form on his thighs and buttocks. Iowa’s new medical marijuana program considers only patients with severe epilepsy, leaving otherwise terminal cancer patients like Mackenzie to choose between suffering needlessly, or breaking the law. The judge certainly took Mackenzie’s medical condition into consideration when he knocked a potential 15 year prison sentence down to a three year probation period. But even that decision was delivered with a lecture about how it wouldn’t even be legal to grow 71 plants in any of the 23 states where medical marijuana has been legalized. The initial set of charges made the entire Mackenzie family out to be common criminals, with everyone from Benton Mackenzie’s 23 year old son, to his elderly parents, being named in the case. Mackenzie and his wife, along with their son Cody, all live in a trailer in Benton’s parent’s yard. So when the crop was busted, old man Mackenzie was put on the hook. The charges against Mackenzie’s parents, both in their 70’s, were eventually dropped, but both his wife and son received probation as well this week for their respective roles in the grow op. Mike Walton is the Scott County prosecutor who took the Mackenzie case to trial in 2013, and he stands by his decision to go after the ailing suspect. He points to two prior drug-related convictions for Mackenzie, calling him a “habitual” offender. Cancer is a nasty habit. Even more offensive was the fact that Benton Mackenzie was not allowed to use his health condition or his battle with cancer in his own defense at trial, since the state had no established legal defense for medical marijuana, or those who claimed to need it. Sitting in a wheelchair in the Davenport courtroom, Mackenzie honestly reported that the use of cannabis hash oil on the affected regions of his skin have made entire tumors vanish, whereas over seven years of traditional treatment only saw his condition worsen. Though it was certainly a victory to see Benton Mackenzie avoid jail time, especially given the state of his health, it still highlights a local legal system that is way behind the curve on marijuana reform. For example, he was told that he must remain “substance-abuse free” during his full three year probation. What that means for his admittedly successful cannabis treatments is still hard to say. With any luck, and some common sense, Mackenzie’s story could potentially lead Iowa lawmakers to re-examine their currently flawed law book, and finally consider some true cannabis reform.